Technology-based small businesses are constantly contending for a competitive advantage by introducing new products, technologies and solutions, or improving their existing capabilities. However, few of these businesses have the resources to carry out the internal research and development needed to improve their technologies and shift them from technical concepts to commercial products. In addition, there are limited opportunities for the small businesses and academic communities to come together and explore collaborations that match needs with workable solutions. This lack of interaction occurs between researchers/small and medium enterprises and large corporations that need new technologies/products. 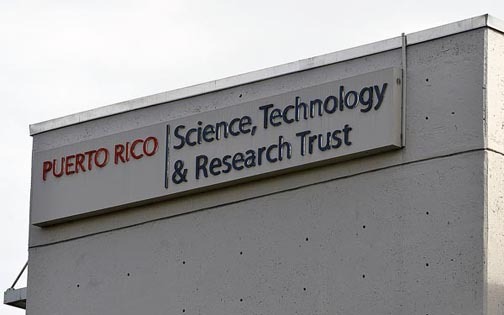 For that reason, the Puerto Rico Science, Technology and Research Trust has decided to address these challenges through the production and delivery of a series of events to present the types of support available for these two communities. Through two workshops and a matchmaking event, the Trust will look to serve as an liaison for those needing to learn about the procedures and steps needed to participate in the Small Business Innovation Research Program and Small Business Technology Transfer Program that several federal government agencies offer. The series of events called “Researchers: Small Business Workshops and Matchmaking” will address the challenges and solutions aimed at improving the interaction between these two communities. A matchmaking workshop, which will take place Aug. 15-16, in San Juan and Mayagüez, respectively. A team of professionals who will share concepts, successful practices and provide advice to small and medium enterprises (SMEs) and researchers will lead the event. Attendees will have the opportunity to learn about free services offered by organizations in Puerto Rico, such as the SBA, SBTDC, Grupo Guayacán, Colmena66, and some universities, so they can commercialize innovative technologies. Another matchmaking event will take place Sept. 18, 2017, at the Metropolitan University (UMET) in San Juan. Participants will have a full day to share and learn from experts, as well as to learn about the resources available to promote and support collaborations between researchers and businesses. The series will close out with a half-day of one-on-one meetings to be held on Sept. 19, 2017, at the Trust’s Innovation Center in Río Piedras, to help those who have research projects focused on the commercialization of innovative technologies. The Trust will continue to provide training and support in the drafting stage and preparation of competitive proposals to submit to the participating SBIR/STTR agencies, as it has done since the fall of 2015. It will also continue to contribute the amount of $100,000 to all whom obtain funding through the SBIR/STTR program, which are not diluted funds from these agencies. This contribution would increase the total R&D funds for one year more than $300,000, Trust officials said. Hey Buddy!, I found this information for you: "Science Trust offers workshops, training for researchers". Here is the website link: https://newsismybusiness.com/workshops-training-researchers/. Thank you.